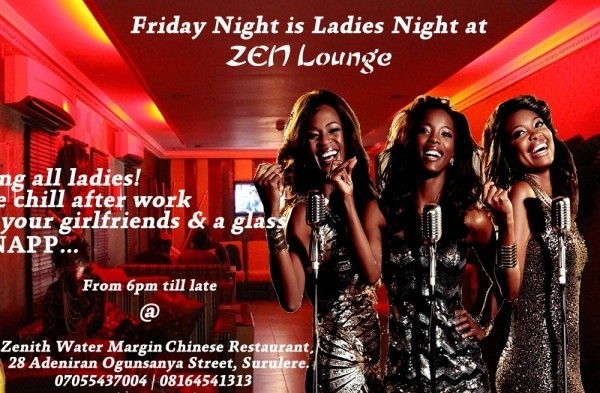 Click to enlargeFriday will be another fabulous edition of Ladies Night out at Zen Lounge, Surulere. The event is the perfect place for all ladies to relax and unwind with their colleagues after work, celebrate birthdays and bridal showers. This event is strictly for ladies and admission is free for all. Bullet Description: The event is the perfect place for all ladies to relax and unwind with their colleagues after work, celebrate birthdays and bridal showers.